It is common for our company to receive calls about raccoons in the attic, especially in spring through summer. 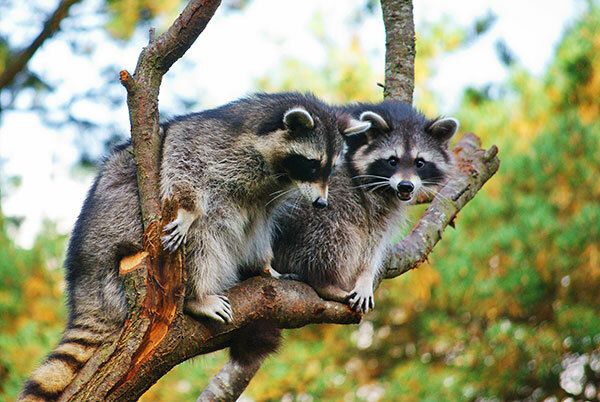 Mother raccoons visit roof lines by climbing nearby trees or backyard pergolas. Then, they dig holes in the roof to gain access to a warm, secluded attic, looking for a safe place to give birth. First, find out if there’s a litter of baby raccoons (almost always yes), then use humane methods to remove the babies and the adult female. Next, find out how the raccoon got inside the attic, and after they are all out, seal the entry holes shut. Finally, clean up any raccoon waste, replace any damaged insulation, and disinfect the areas. Most people first call our wildlife removal company when they hear the noises the animals create. 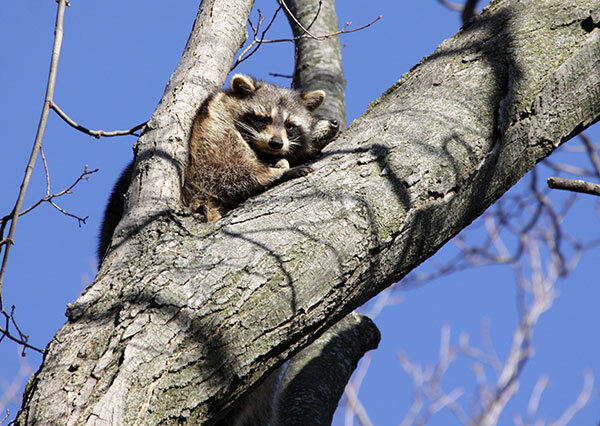 A large animal like a raccoon can cause quite a bit of racket climbing around and digging in the attic. A litter of young will also often squeal for their mom, making a loud noise. 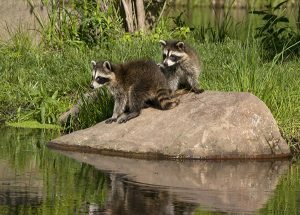 Some homes are less prone to sounds from animals, and the occupants learn about their raccoon problem when they physically spot the animal. 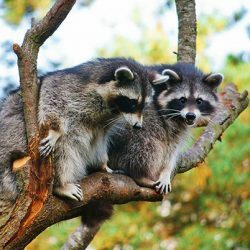 Why Should I Have Raccoons Removed From My Attic? 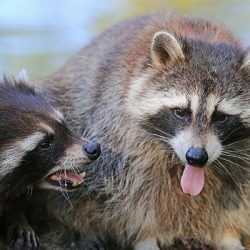 It is important to have any animals living in your home removed, but it is especially important to get raccoons out of your home. 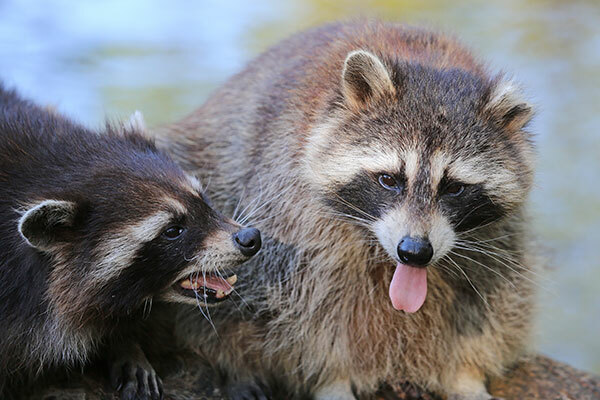 Raccoons can cause severe damage to your home, both by chewing and scratching, but also by using your home as a toilet, creating a latrine in your attic. 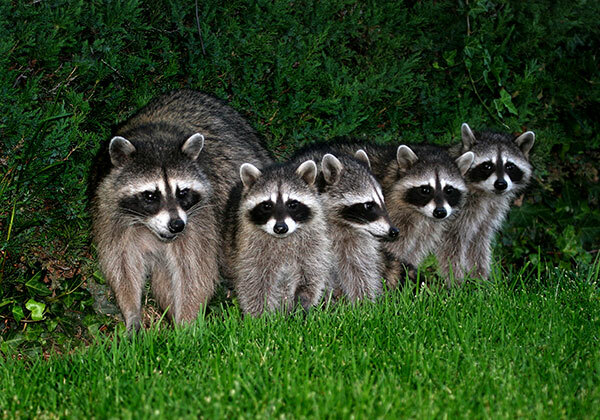 Raccoons also carry hosts of diseases including fleas and ticks. When Is the Best Time to Have Raccoons Removed? The best time to remove raccoons is as soon as you know they are in your home. 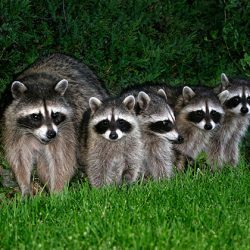 We can remove raccoons, even with litters of young, at any time of the year. The longer you wait, the more damage they cause and the harder it is to keep them from returning. 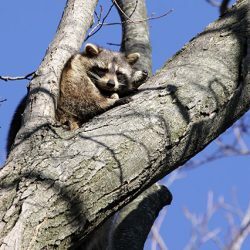 If you know there are raccoons in your area, or if you have heard that your neighbors have had raccoon problems, quickly put preventative measures in place or you may be next. Where Do Raccoons Typically Enter a Building? A raccoon can enter your building anywhere it finds or can make a four-inch hole. That’s right, if her head fits, she can squeeze her body through! Favorite access spots are chimneys, weak soffits, dormers, and under eaves. Unfinished areas, such as under decks, are also favorite entry points, as are locations where two types of material meet (brick to wood or siding to stucco).